Sugar causes metabolic dysfunction because it overloads the liver with energy from fructose. this leads to fatty liver disease (here). If you have hard to shift belly fat, you almost certainly have insulin resistance as a result of fatty liver. The abdominal fat you see is an outward manifestation of an inward metabolic dysfunction. This dysfunction significantly increases you chances of getting cardiovascular disease and diabetes. It also makes you look fat and feel unenergetic. Most people consider fruit juice to be healthy, and associate it with vitamins and vitality. This is as a result of clever marketing from the food industry. In reality, the fruit juice you buy in cartons is just sugar in water. Biochemically, the body deals with this sugar in the same way it deals with other sugar. Straight to the liver, straight into fatty acids, and straight into your belly fat. Studies now show that carton fruit juice is just as effective at making fat people as soft drinks like cola. So Why Is Fruit Ok? Fruit contains fibre. Fibre is natures way of slowing down the digestion of sugar. Sure, fruit contains fructose, just like sugar. But the fructose is always present with fibre in fruit. Also, how long would it take you to eat six oranges in a row? If you try to do this you’ll see its not easy to get large amounts of sugar from fruit quickly. The same cannot be said for fruit juice. Squeeze six oranges into juice and you can consume the calories in a few seconds. If you switch to honey, you'll get fat all the same. Honey contains fructose, and so is fattening in large amounts. Usually the fructose in honey is surrounded by angry bees and this slows consumption somewhat. Try to eat as much honey as you dare from a hive. How much did you get? None is probably the answer. However, when you remove the bees from honey, just as when you remove the fibre from fruit, the rate of consumption increases. Bang, thats weight gain right there! Brown Sugar It Is Then? Brown sugar is like brown bread. Just As bad as white bread but a different colour. Sugar in its natural form is present inside vegetable matter. To get the sugar you must eat the very fibrous stems of cane sugar plants or eat sugar beets. Both contain large amounts of cellulose fibre. This slows consumption because cellulose tastes like wood. Any product that removes the sugar from this fibre, crystallises it and serves it up, brown, white or sky blue pink, it will make you fat. It doesn't matter where it comes from. If it contains fructose, and you eat too much of it too quickly, you will get fat. Studies show that honey is not quite so bad as sugar, but its 90 % of the way there. 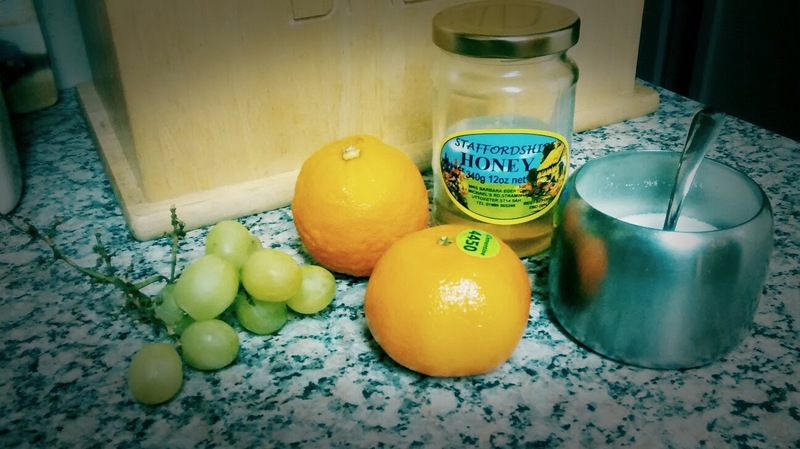 Of course fruit juice and honey contain other substances that are good for the health. But the weight gain, belly fat, metabolic dysfunction and insulin resistance that accompany them outweighs any benefits they provide. If you want to get lean, you MUST avoid all forms of sugar.